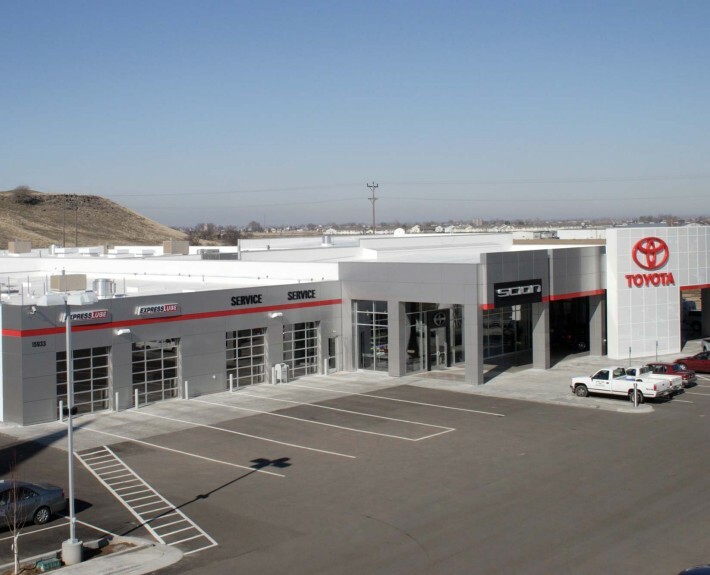 Tom Scott Toyota - McAlvain Companies, Inc.
Tom Scott Toyota is a 46,000 sq ft concrete tilt-up Toyota dealership located on Can-Ada and Franklin roads in Nampa, Idaho. 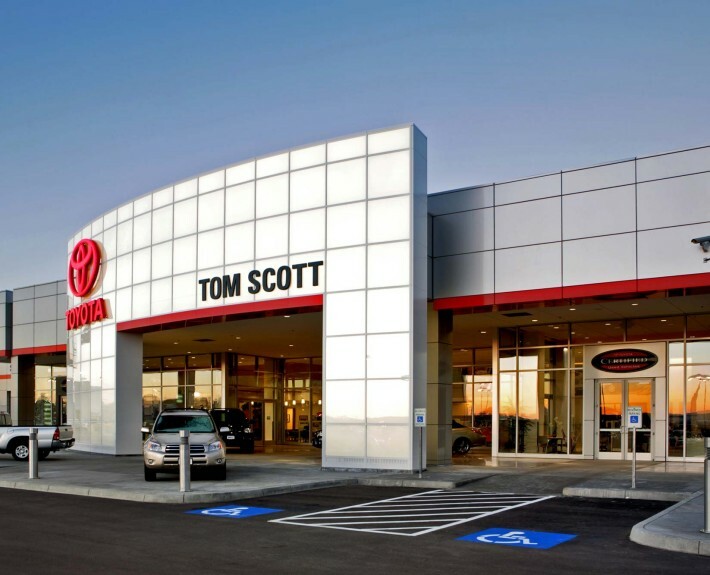 It is only the second Toyota dealership in the U.S to showcase Toyota’s new design standards and acts as a prototype for future Toyota dealerships and renovations. 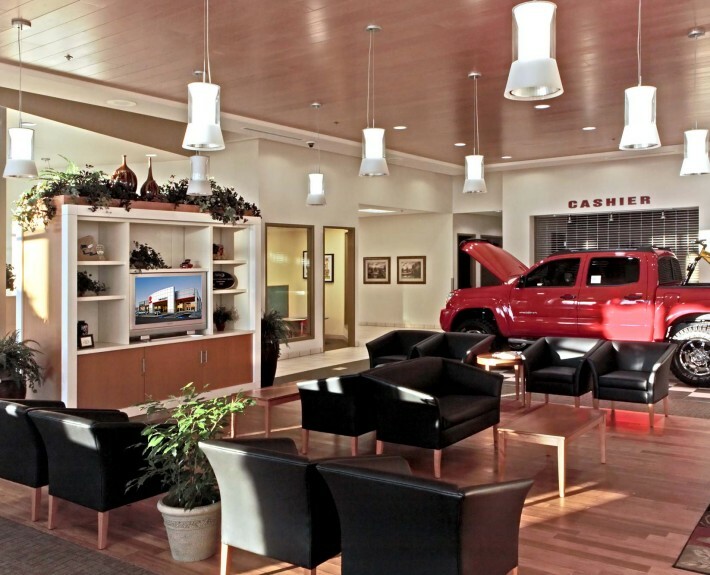 The inside offers a comfortable open showroom, administrative offices, quick lube stations, service, carwash, and parts department. 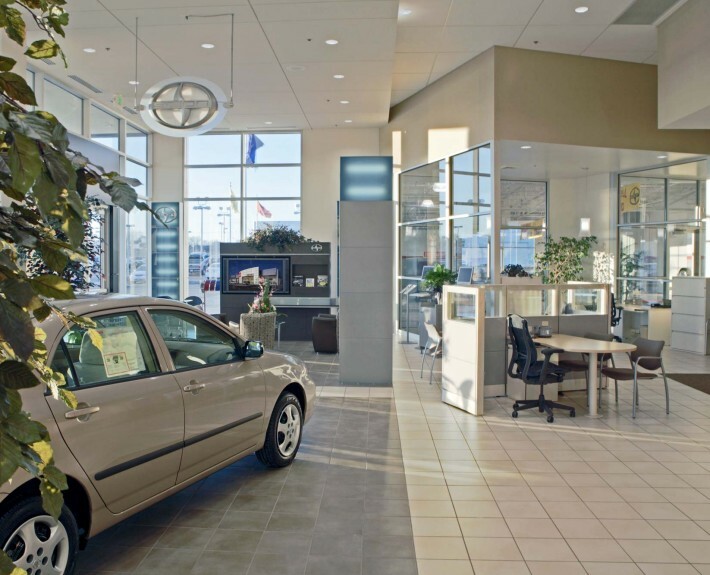 The outside displays modern architecture and design including stylish ACM panels and illuminating external panels to distinguish itself among surrounding dealerships. 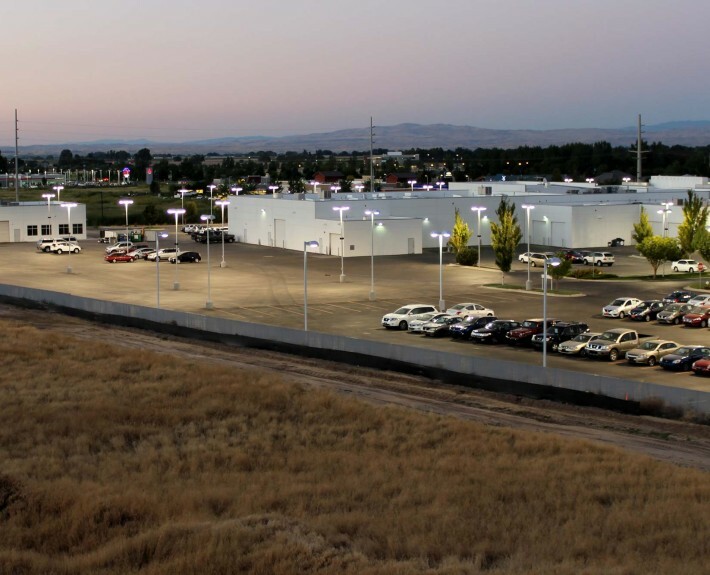 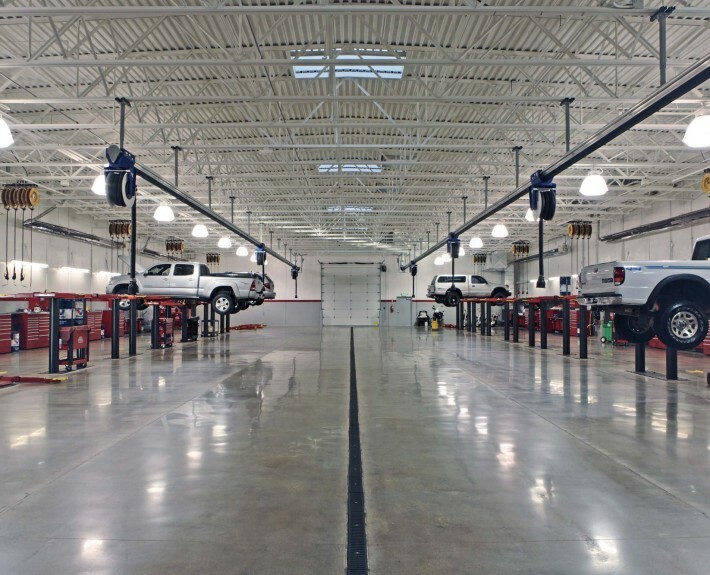 Construction of the dealership was completed turnkey in 7 months. 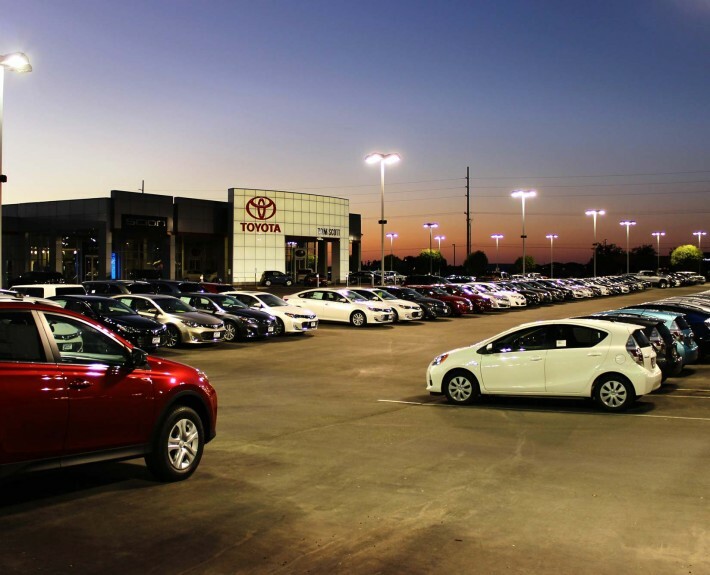 During construction, the facility’s parking lot was poured to accommodate a Labor Day sales event where the dealer sold a record number of vehicles in one day.